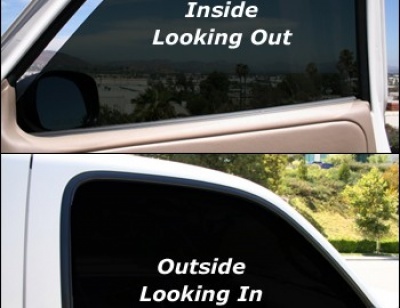 Usually you can take a drive any given day and see multiple vehicles with window tinting. Most people don’t think anything of it other than “that looks pretty cool.” Others may acknowledge how it can help prevent the glare in your face. However, there are many other advantages that window tinting has to offer. Below are some of the top ways window tinting provides long-lasting functional benefits to protect you and your vehicle. Your car is a big investment that you want to last as long as possible. Having window tinting professionally installed on your vehicle is a great way to prolong the lifespan of your interior. Window film blocks sun rays that can fade upholstery and discolor leather and vinyl. It protects car interiors from cracking and warping to keep your car looking newer longer. Window tinting also blocks windshield glare to decrease eye fatigue from direct sun or bright headlights at night. Window tinting can block up to 99% of the UV rays from the sun that can speed up skin aging and cause skin cancer. Even clear window film or a light tint can block out both damaging UVA and UVB rays. Over half of skin cancers in America occur on the left side of the body, which correlates to the driver’s side of a car. For people who drive for extended periods of time, window film protection provides a critical advantage to safeguard against this risk. Sometimes it’s hard to find the perfect level of AC for all of your passengers. Window tinting can help resolve that dilemma. Depending on the grade, window film can block anywhere from 35-65% of the solar heat that builds up in a car. You can balance climate and comfort for everyone and cut down fuel consumption from excessive AC use. Window film is designed to keep glass from shattering if an object hits it. In the event of a car accident, passengers are protected from flying glass shards and from being ejected through windows. On top of that, burglars will have trouble breaking through tinted windows and get into your car. Window tinting comes in a wide range of shading to provide a level of privacy for you and your passengers as you go down the road. When you park the car, you can walk away and know people won’t be able to see your possessions inside. Interested in Window Tinting in the Aberdeen NJ Area? AutoWorks is an automotive electronics shop that also offers car window tinting services to towns in the Monmouth County area. Service towns include: Middletown, Tinton Falls, Oceanport, Keyport, Keansburg, Highlands, Matawan, Long Branch, Hazlet, Atlantic Highlands, Aberdeen, Shrewsbury Twp, West Long Branch, Fair Haven, and many more. To learn more about our products and installation services, contact us today at 732-671-0225 or visit the website. There are many amazing advantages of window tinting. A lot of the population believes that car window tinting is only for making a vehicle look cool and blocking the sun. However, it can block up to 70% of solar heat for a cooler ride, provide UV protection equivalent to SPF 285, help protect your interior from harmful UV light, and prevent glare from the sun and headlights from blinding you. On top of that, car window tinting gives you more privacy, prevents shattered glass or smash and grab robbery, and can save on fuel due to less use of your air conditioning. Solar Gard is among the best car window tinting film brands. Below we will talk about Solar Gard Galaxie films. Superior quality and exceptional performance will enhance your driving experience and protect you from the sun’s heat and damaging UV rays. Industry leading clarity, for unaltered visibility and safe driving, make Galaxie the best window film for looking and keeping cool. 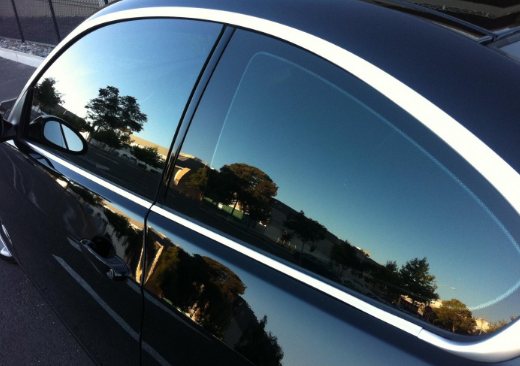 Looking for Window Tinting Services Near Eatontown NJ? Are you looking for professional high grade Aberdeen window tinting? People tint their windows for multiple different reasons, not just for aesthetics. Window tinting, especially with quality lead brand films like Solar Gard offers many great benefits for both you and your vehicle. Below are some of the great things that Aberdeen window tinting has to offer. More Comfort: Window tinting blocks up to 70% of solar heat for a cooler ride. UV Protection: It can be equivalent to SPF 285. Prevents Fading: Help protect your seats and dashboard from harmful UV light that can fade the colors. Reduce Glare: Aberdeen window tinting will prevent glare from the sun and headlights from blinding you. 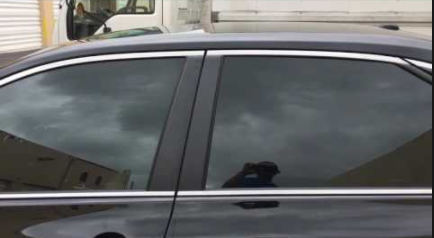 More Privacy: Window tinting makes it more difficult for passersby to see what’s going on in your vehicle. Custom Look: Window tinting gives vehicles a cooler look. Extra Safety: The film on your windows mean no more shattered glass or smash and grab situations. Save On Fuel: Less air-conditioner usage means less fuel being used. So, how about the window tinting with Solar Gard films? Solar Gard Ultra Performance window film offers some superior advantages. An unmatched combination of high heat rejection and high visible light transmission. A guarantee against fading or color change of your interior. Satellite radio, GPS, tire pressure monitoring system and cellular friendly. Blocks more than 99% of the harmful UVA and UVB rays. Are You Looking for Quality Aberdeen Window Tinting Services? AutoWorks offers window tinting as well as other auto services to towns in the Monmouth County area. We serve towns including Middletown, Homdel, Oceanport, Keyport, Keansburg, Highlands, Matawan, Long Branch, Hazlet, Atlantic Highlands, Aberdeen, Shrewsbury Twp, West Long Branch, Fair Haven, and many more. To learn more about our auto products and services, contact us today at 732-671-0225 or visit the website. Many vehicle owners think of window film, also called window tint, as just an aesthetic enhancement, but it also provides long-lasting functional benefits to protect you and your vehicle. Here are some of the top reasons to invest in tinted windows. Fade Reduction. Your car is a valuable asset that you want to last as long as possible. 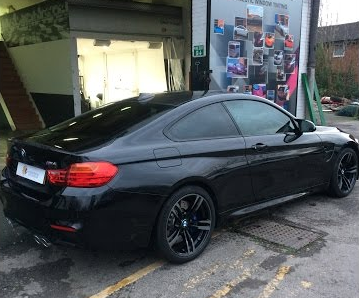 Having window tinting professionally installed on your vehicle is a great way to protect your investment. Window film blocks harsh sunshine that can fade upholstery and discolor leather and vinyl. 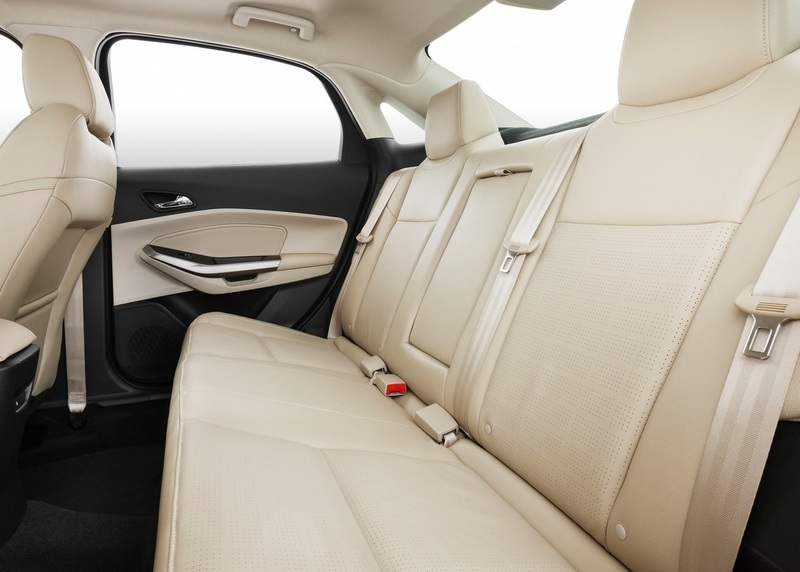 It protects car interiors from cracking and warping to keep your car looking newer longer. Window tinting also blocks windshield glare to decrease eye fatigue from direct sun and bright nighttime headlights. UV Ray Blockage. Tinted windows on your car can block up to 99% of the sun’s harmful ultraviolet rays that can accelerate skin aging and cause skin cancer. Even clear window film or a light tint can block out both damaging UVA and UVB rays. Research shows that 53% of skin cancers in the U.S. occur on the left side of the body, which correlates to the driver’s side of a car. For people who drive for extended periods of time, window film protection provides a critical advantage to safeguard against this risk. Solar Heat Rejection. If you’ve battled finding the right level of air conditioning for all of your passengers, tinted windows can help resolve that dilemma. Depending on the grade, window film can block anywhere from 35-65% of the solar heat that builds up in a car. You can balance climate and comfort for everyone and cut down fuel consumption from air conditioning overuse. Shattered Glass Protection. The safety benefits tinted windows cannot be underestimated. Window film is designed to keep glass from shattering if an object hits it. In the event of a car accident, passengers are protected from flying glass shards and from being ejected through windows. Also, thieves will find it difficult to break through tinted glass and get into your car. Privacy and Security. Tinted windows in a wide range of shading to provide a level of privacy for you and your passengers as you go down the road. When you park the car, you can walk away and know that nobody can see your valuables inside. Looking to Add Tinted Windows to Your Vehicle? Located in Middletown, New Jersey, AutoWorks is a automotive shop that provides auto services, including installing tinted windows, to towns in the Monmouth County area. We serve serve towns including Middletown, Red Bank, Oceanport, Rumson, Little Silver, Marlboro, Manalapan, Long Branch, Holmdel, Ocean Township, Lincroft, Shrewsbury, Monmouth Beach, West Long Branch, Fair Haven, and many more. To learn more about our window tinting, auto electronics, installation services, and other services contact us today at 732-671-0225 or visit the website. Cooler Driving – Solar Gard window films are designed to reject up to 61% of the total solar energy, making your car cooler and reducing the need for air conditioning. Plus, window tinting helps cut annoying glare reducing intense bright hot spot on sunny days and blinding headlights at night. Protects Interior – Window tint is like sunscreen for your automobile, rejecting up to 99% of all UV rays. Solar Gard window films shield premature leather, vinyl and fabric discoloration and fading to protect your investment. Protection from the Sun – Solar Gard window tinting, like other brands, shields both UVA and UVB ultraviolet rays. According to the American Academy of Dermatology, there is a direct link between more time spent driving a car and a higher incidence of left-handed skin cancers. While all types of skin cancer increase with exposure to unprotected skin, there’s a form of melanoma common among drivers that is caused by cumulative sun exposure. Enhances Appearance – All Solar Gard films come in a wide variety of colors and tints to compliment any car or truck exterior. The darker you go, the more privacy you will have but make sure you check your local window tinting laws and adhere to them. Great Warranty – Solar Gard window tint comes with strong warranty coverage for its line of Solar Gard window films. Superior Adhesives – Solar Gard films’ exceptional adhesives ensure your film’s optimal performance. 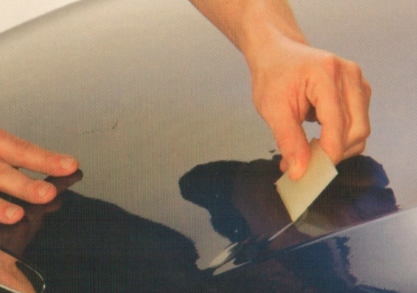 Inferior adhesives can cause bad adherence to surfaces, resulting in bubbling and film failure. Quality & Performance Tested – Solar Gard window tint quality assurance means that each roll produced of a particular product will be of a consistent color for a seamless look. Solar Gard conducts vigorous performance testing to ensure our products perform as expected in various conditions. AutoWorks offers automotive window tinting services and other car audio & electronics services to towns in the Monmouth County area. We exclusively use Solar Gard tint high performance window films.They serve towns including Middletown, Red Bank, Oceanport, Rumson, Little Silver, Marlboro, Freehold, Dayton, Aberdeen, Manalapan, Point Pleasant, Millstone Township, Long Branch, Spring Lake, Holmdel, Shrewsbury, West Long Branch, Fair Haven, and many more. To learn more about our car subwoofer installation services and other services contact us today at 732-671-0225 or visit the website. Window Tinting help decrease Interior Heat – Quality window film can provide up to a 78% reduction in heat transfer. This reduces the sun’s effect of heating up the inside of your car decreasing the amount of time that you will need to use your air conditioner. This can result in extending the life of the vehicles AC system. Energy Savings by using Window Tinting – As stated above, reducing interior heat can reduce the demand for AC use. This can have a significant impact on gas mileage and a savings at the pump. who wouldn’t want that? Window Tinting contribute reduce Interior Fading – Quality film can block up to 99% of UV ray. This help to reduce fading of your seats, carpets, dash and wood trim. It also works to extend the life of these items. Reduce Health Risks by Window Tinting – Exposure to the sun is know to cause potential health risks to the eyes and skin. By blocking 99% of UV light, window tinting will also act as a “sunscreen” to protect from the harmful effects of the sun. Reduces Hazardous Glare by Window Tinting – Glare while driving can blind vision and create a dangerous condition. Window tinting applied to a vehicle’s side and rear windows can significantly reduce glare. Increase Safety and Security – Accidents can turn a window into thousands of dangerous shards of glass. Window Tinting can act to hold the glass together during an accident. It can also impede a would-be thief from gaining access to your vehicle. Enhance Appearance – Most shops offer varying shades of window tinting to appeal to almost any taste. If you do not want to darken the windows, but still want the benefits listed above, we have a film for that too. Using Window Tinting for your cars is a great way to reduce glare and heat as well as enhance privacy. Consumers typically have two options for tinting their cars windows: Do it themselves with a DIY window tinting kit or hire a professional. 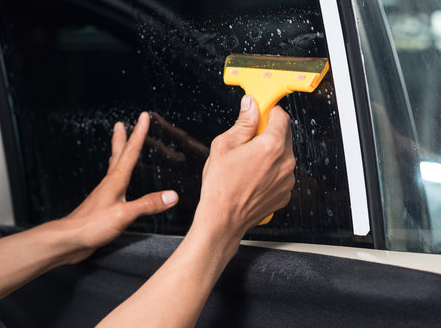 It might be tempting to tint your car windows by using a DIY kit, but the benefits of hiring an auto tinting pro outweigh any savings. AutoWorks offers Window Tinting services as well as backup camera installation, detailing, and other auto services to towns in the Monmouth County area such as Middletown, Red Bank, Rumson, Little Silver, Marlboro, Freehold, Dayton, Aberdeen, Manalapan, Point Pleasant, Millstone Township, Long Branch, Spring Lake, Holmdel, Shrewsbury, West Long Branch, Fair Haven, and many more. To learn more about our gauge installation services and other services, contact us today at 732-671-0225 or visit the website. Better Driving – Driving with the sun directly in your face isn’t just an annoyance, but can be deadly as well. Window tinting shields your eyes and prevents glare from all sources of extreme light so you’ll never be caught driving badly due to no fault of your own. Great Privacy – Let’s face it, in some of the more unsavory parts of town it’s always a good idea to keep a low profile. Window tinting guards your personal privacy no matter where are you, as well as protects the things inside your car when you’re not around. No more hiding your valuable possessions out of sight every time you park. Upholstery Protection – The heat and UV rays from direct sunlight can fade your upholstery in just a few years. Window tinting keeps your car interior from getting hot enough to warp, fade, or crack, and blocks up to 90% of harmful UV rays from entering. Shatter Proofing – Window tinting helps to keep your car’s window from shattering upon impact with an object or in the event of an accident. This can go a long way to protecting the health and lives of your passengers if anything unexpected happens on the road. Keeping Cool – With the right window tinting, you can reduce the heat inside your car in the scorching summer months by up to 60%. Health – Direct sunlight and the associated UV rays doesn’t just damage your skin and accelerate aging, it can also cause skin cancer over a prolonged period of exposure. Window tinting can reduce harmful UV rays by up to 99%. AutoWorks offers window tinting, backup camera installation, detailing, and other auto services to towns in the Monmouth County area such as Middletown, Red Bank, Oceanport, Rumson, Little Silver, Marlboro, Freehold, Colts Neck, Aberdeen, Manalapan, Point Pleasant, Millstone Township, Long Branch, Keansburg, Eatontown, Shrewsbury, Tinton Falls, Fair Haven, and many more. To learn more about our hot rod restoration and other services contact us today at 732-671-0225 or visit the website.